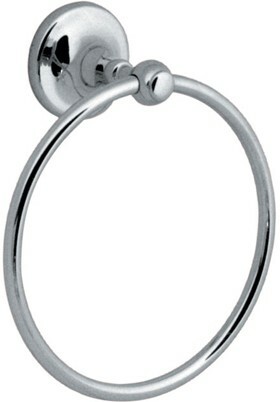 Vado Tournament > Towel Ring (Chrome). All Vado Tournament bathroom accessories are guaranteed for 12 years in chrome and 3 years in gold and other finishes. Note: These products with a Gold finish are special order items so please allow 21 days for delivery.